Just over five years ago, IBM's Watson supercomputer crushed opponents in the televised quiz show Jeopardy. It was hard to foresee then, but artificial intelligence is now permeating our daily lives. Watson is just one of IBM's efforts; the company has more initiatives to bring AI to other companies. It's releasing more powerful hardware to make deep-learning systems faster while analyzing data or finding answers to complex questions. IBM is pairing those superfast systems with new software tools. The first set of hardware is the Power8 server with the Nvidia Tesla GPUs, said Sumit Gupta, IBM's vice president of high-performance computing and analytics. 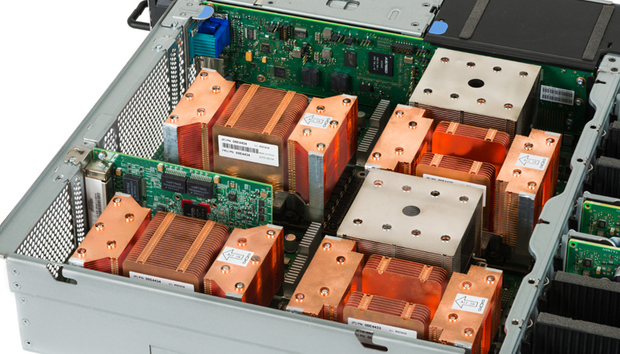 The hardware is the fastest deep-learning system available, Gupta said. The Power8 CPUs and Tesla P100 GPUs are among the fastest chips available, and both are linked via the NVLink interconnect, which outperforms PCI-Express 3.0. Nvidia's GPUs power many deep-learning systems in companies like Google, Facebook, and Baidu. "Performance is very important as deep learning training jobs run for days," Gupta said. It's also important to speed up key technologies like storage and networking, he said. The software is the glue that puts IBM's AI hardware and software in a cohesive package. IBM has forked a version of the open-source Caffe deep-learning framework to function on its Power hardware. IBM is also supporting other frameworks like TensorFlow, Theano, and OpenBLAS.